SCHOOLS ATTENDED: Don Bosco Primary School and Ndarama High School and Gokomere High School. ACADEMIC QUALIFICATIONS: I was very brilliant but I was not serious. I went to school to add numbers. LANGUAGES: French, Zulu, Shona and English. RELIGION: Christian, Seventh Day Adventist ndiri Musabata akakwana. FAVOURITE DISH: Sadza and beef, I am tired of English dishes. TEMPERS: Handina time yekutsamwa. I don’t have time to waste. Life is too short. FAVOURITE HOLIDAY RESORT: Paris, France. DESCRIBE YOURSELF IN THREE WORDS: Jovial, Fun and Talkative. FLICKS: I watch sport and movies. FAVOURITE COLOURS: White and red. TUNES: Rhumba, gospel and sungura. FAVOURITE ARTISTS: Koffie Olomide, Alick Macheso, Freeman, Killer T, Jah Prayzah, Werrason, Fally Ipupa, and Charles Charamba. MOBILE HANDSET: IPhone 7 and Samsung Edge. BMW/MERC: BMW, Benz is for executives. FAMILY: We are four siblings, three boys Obert, me and Obvious. We have a sister called Charity. CLOSE BUDDIES: Zhaimu Jambo, Knowledge Musona, Tafadzwa Rusike and Lenon Mavuse. BOOZE: I drink whisky occasionally. HAIRSTYLES: Mahawk or plain cut. It depends with the mood. TATTOOS: No. I don’t like them, not at all. EARRINGS: Handipfeke. I am a Christian (laughing). CLOTHING LABELS: I am very simple and I am not much into these labels. IF YOU HAD NOT BEEN A FOOTBALLER: Professor in Mathematics. OTHER SPORTING ACTIVITIES: Golf and pool. TELL US SOMETHING WE DON’T KNOW ABOUT YOU: They think I am full of myself but I am just a confident person and I take things head on. YOU PLAY A BIT LIKE: I have my own way of doing things. Ndotoda kutoteedzerwawo. INSPIRATION: My parents Justice and Elizabeth Karuru have been behind my back during good and bad times. PER-MATCH RITUAL: I read bible, listen to gospel music, sing and pray before any match. DO YOU BELIEVE IN JUJU? I don’t believe in nonsense. Your natural talent will take you places. STRENGTHS: Naturally, I am intelligent in the field of play and I know where to position myself. I am good at ball control as an all-round midfielder. My finishing is also good and i always catch the goalkeeper unaware because I run into space. Defenders in Africa looks at the ball, they don’t mark their strikers and I benefit from such blunders. If I control the ball and get the space, my finishing is perfect. Above all I am fast and comfortable with the ball. I can dribble past defenders easily. I am slippery and quick with my movements and that gives me an edge when it comes to attacking. Above all, I am a team player, I don’t believe in solo efforts and selfishness. WEAKNESSES: I struggle when I am targeted by a specific defender or marker. It annoys me. TEAMS SUPPORTED: Man U, Zimbabwe and Real Madrid. HOW DID YOUR CAREER START: I started at Don Bosco Primary and I was the captain when I was in Grade Six. I was the skipper to my brother who was in Grade 7. Ndaitomunhongesa mabhora. At High school, I was a star at Ndarama. One of their school coaches was in the executive for a Division One team, Guni United. I ended up playing for that side when I was in form 2 before I officially joined Gutu Leopards in form 4. PREMIERSHIP DEBUT: In Zimbabwe I made my debut in 2007 when I was 17 with Masvingo United under Taurai Mangwiro. FORMER CLUBS: Masvingo, Gunners 2008-9, USBCO Boulogne France 2009-12, Leuven Belgium 2013, Kaizer Chiefs 2014-16. WHAT HAPPENED AT KAIZER CHIEFS: I had no game time since 2014 and I decided to leave. A lot of off field issues disturbed by stay. LIFE AT AMAZULU: I was happy working with Joey Antipas. I was playing regularly and I had no pressure. That’s all I wanted after frustrating seasons at Chiefs. CONTRACTED UNTIL: Six months with an option to renew if the team gets promoted. It expired on June 30. ANY PLANS TO LEAVE: If they want me I will go back. I have to keep my options open. ANY OFFICIAL OFFERS FROM ABSA PREMIERSHIP CLUBS: Yes, but I want to concentrate on my games at COSAFA for now. YOUR FEELING AFTER SCORING YOUR FIRST HAT-TRICK: I knew it was my solitary chance and I was excited. It’s not an easy record. AND YOU ARE ON COURSE TO CATCH UP WITH PETER NDLOVU THE ALL TIME HIGHEST COSAFA SCORER: He has eight goals in four tournaments but I am keen to break the record. He is my childhood hero and I always strive to do well. EXPLAIN YOUR CELEBRATION: Tiri kucheka cheka vanhuka. It’s just a implying that we are cutting our way through, breaking and going forward. 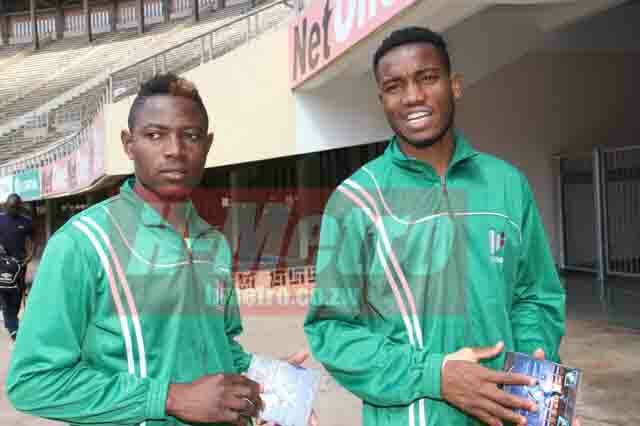 YOUR TARGETS AT COSAFA? Obviously to bring the trophy home. I want to be top goal scorer as well. 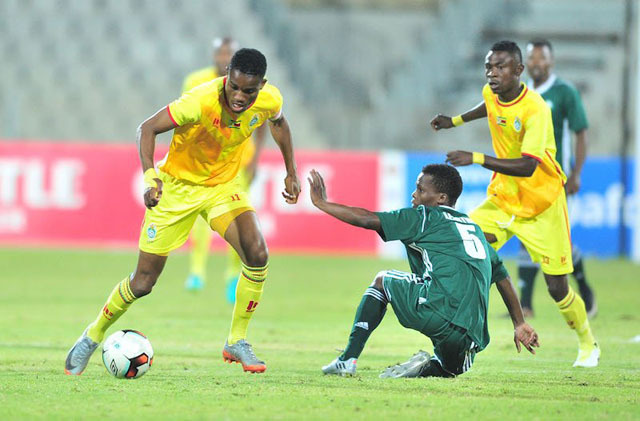 MOST MEMORABLE GAME AT COSAFA: Against Seychelles after scoring three goals. WORST GAME: Madagascar, I hate man marking. Their anchorman was assignment to mark me out. COSAFA CAMPAIGN SO FAR: I am happy. We wanted to win all matches and do well as a group. We are slowly achieving our goals. SKIPPER: We are two captains, me and Ocean. I just wear the armband. We have many leaders in the team, Eric Chipeta and George Chigova as well. YOUR FEELINGS AFTER YOUR NATIONAL TEAM CALL UP SINCE 2014: It’s like I was playing football for the first day. YOUR APPROACH AHEAD OF LESOTHO TIE: It’s going to be war. We are ready and we want to win. DO YOU THINK THIS TOURNAMENT WILL SHAPE YOUR CAREER? It’s a God given chance. It will shape for sure but I believe in God’s destiny. BEST WARRIOR PLAYED WITH: Gerald Takwara is doing well. PREDICTION: We are going to win. A scoreline above a two-goal margin. HOW ARE YOUR TEAMMATES TREATING YOU? Treatment has been well so far and friendly. Tiri ve happy chete, hatitsvage zvakawanda. We are a group of humble guys. 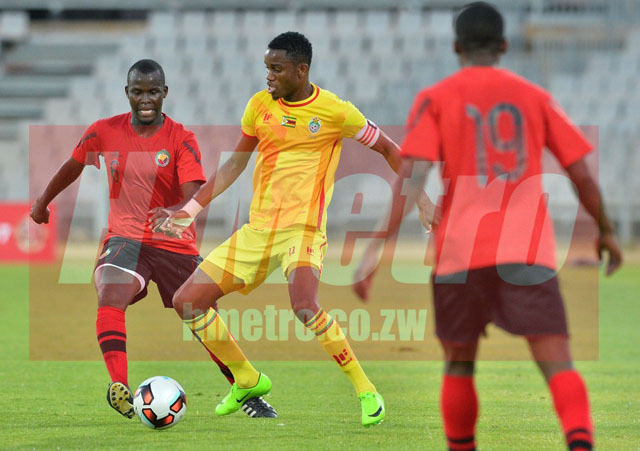 FAVOURITE TEAMMATES: George Chigova and Eric Chipeta. BIGGEST JOKER: Liberty Chakoroma and Talent Chawapiwa. BEST COACHES WORKED WITH: Joey Antipas, Norman Mapeza, Taurai Mangwiro (my first professional coach at Gutu Leopards) and Sunday Chidzambwa. WHERE DO YOU SEE YOURSELF IN FIVE YEARS TIME? I will be back in Europe, playing for a big club and representing my country.